Georgia, the Peach State, and home to Augusta National in Atlanta. Emerging as a leading golf destination, Georgia is a state with a little something for everyone. Golf courses and resorts abound throughout the state in a wide variety of terrain, from the beaches of the southern coast to the Blue Ridge and Cumberland Mountains in the north. Georgia’s generally warm climate guarantees good golfing conditions during at least 10 months of the year. So whether you seek golfing amongst the spring azaleas or the summer breezes off the coast, or the fall blast of colors in the mountains, you can find the perfect time and a place for your golf getaway. 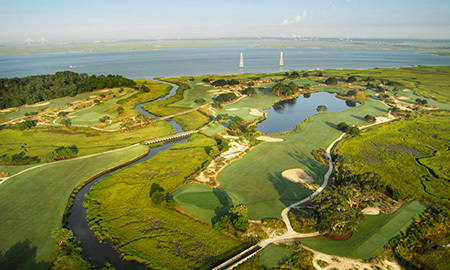 The state has more than 500 courses, many designed by renowned figures like Nicklaus, Fazio, and Cupp, offering the avid golfer a spectrum of choices. Southern charm and hospitality await you on The Georgia Golf Trail, home to breath-taking golf courses and magnificent resorts from the mountains to the sea and at each step along the way you will enjoy spectacular scenery in every corner of the state.